John Lasseter, chief creative officer at Pixar and Walt Disney Animation Studios, is set to receive a special honor at this year’s Walt Disney Museum fundraising gala. 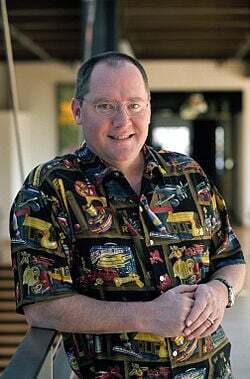 Lasseter will be awarded the Diane Disney Miller Lifetime Achievement Award, which recognizes those who have made an outstanding impact in arts, education, technological advancement and community involvement. He has worked on many of Pixar’s beloved films, including Toy Story, Cars, A Bug’s Life, Toy Story 2 and Cars 2. When Disney purchased Pixar in 2006, Lasseter was given the chief creative officer position, becoming executive producer on all of the company’s animated films. The Walt Disney Family Museum, located in San Francisco, California, celebrates Walt’s legacy. The third annual gala takes place on November 7 at San Francisco’s Golden Gate Club at the Presidio. For more information about their ongoing exhibits, visit the Walt Disney Family Museum website.